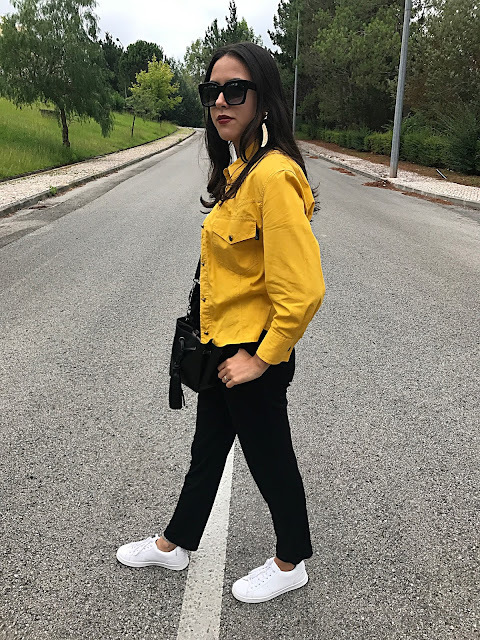 C-Love Fashion : YELLOW? YES! 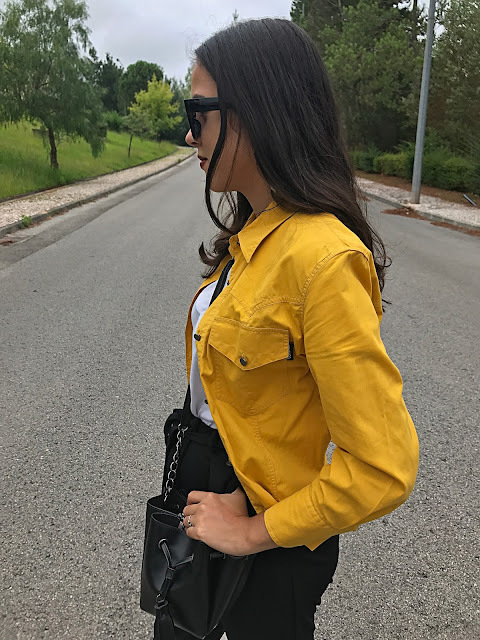 Gosto de amarelo mais do que eu achava. 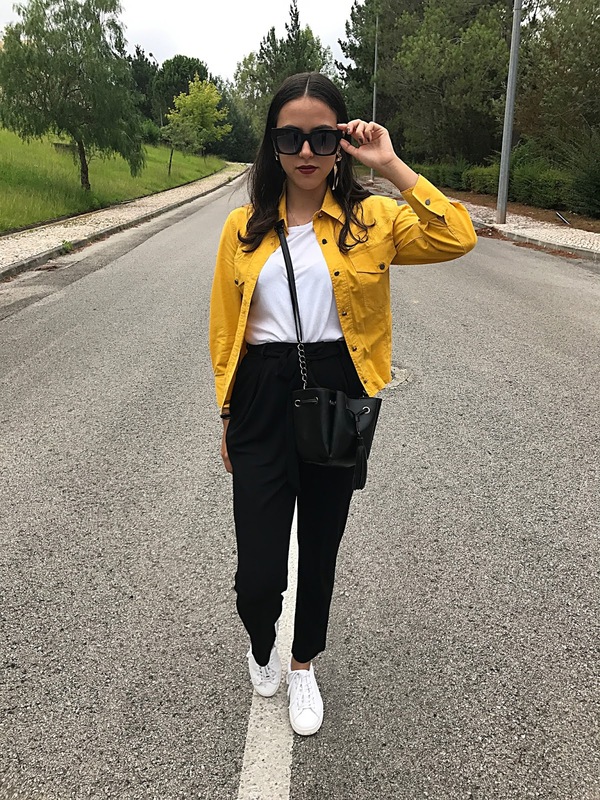 Mas atenção, deste tom de amarelo em específico. Aquele amarelo mais para o verde, que parece que está a morrer, é mantê-lo longe. E eu nem sou grande fã de tons assim tão fortes, mas acabei por me render a este e confesso que me apaixonei. 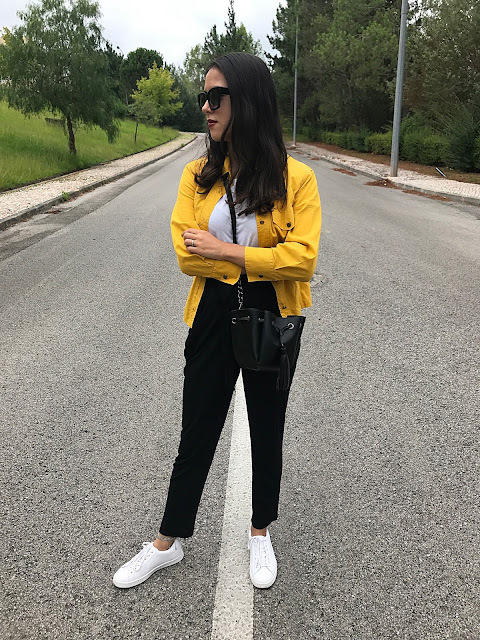 Adoro conjugá-lo em looks total black, com gangas, com brancos. 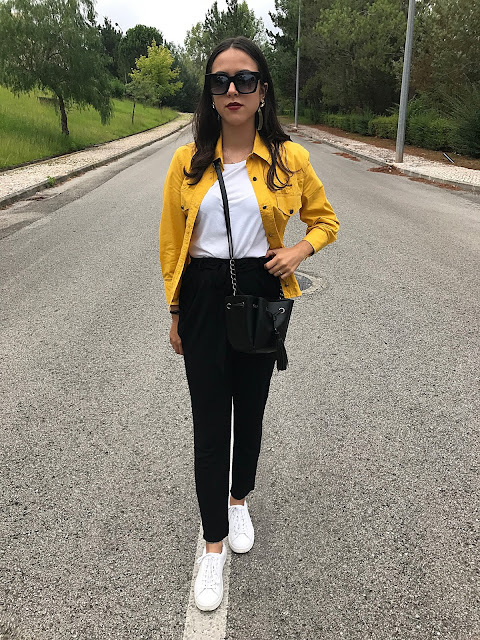 É só deixar a imaginação fluir, e o look constroi-se. 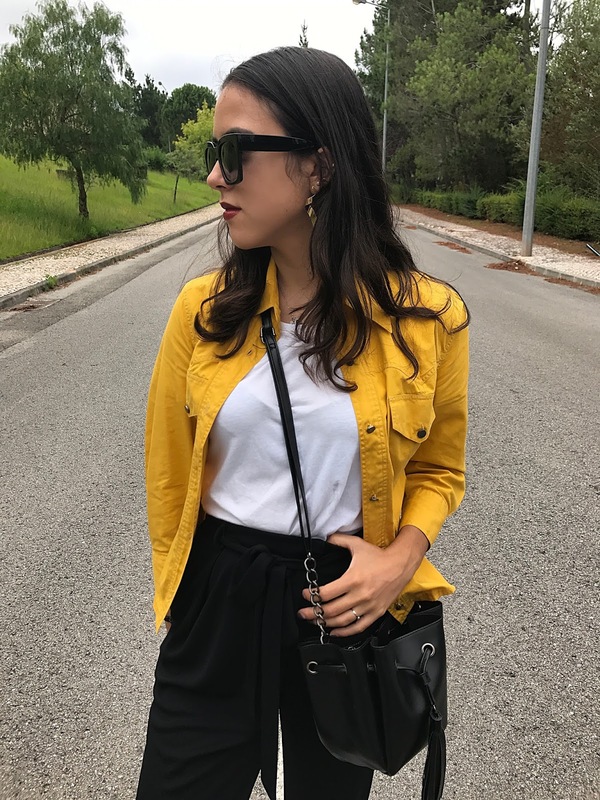 Like yellow more than I thought. But beware, this particular shade of yellow. One more yellow to green, which looks like it's dying, is to keep him away. And I'm not even a big fan of tones that strong, but I eventually give in to this and I confess that I fell in love. I love conjugate it in total black, looks with jeans, with whites. Just let your imagination flow, and the look he builds.